11/11/08 The song above Manitou, My Manitou was found at Mary Mitchell's home after she passed away this year 2008. This song was given to Gail Patterson and Gail would like to know if anyone has seen this song before? Also she would like to know if anyone knows T. Q. Cates the song writer? Please leave the answers on our message board. Thanks! 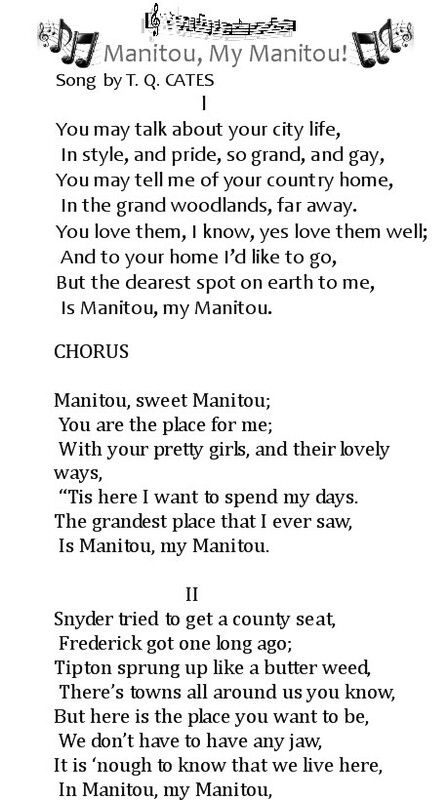 You can print the song Manitou, My Manitou by putting your mouse over the song and right click, then click print page or print picture!